In his autobiography, pp. 370-1, the late Dr. J. Parker says: “The local preachers of England have always attracted my grateful attention as a body of men who have done, and are doing, the greatest possible good in their respective spheres……. The local preachers of England have done an incalculably blessed work for their country.” None have done better service than the noble band of lay preachers so honourably and so indispensably associated with our own Church, and among this host of Christian ambassadors, the one concerning whom it is our privilege to write occupies a very worthy place of honour and real distinction. Occupying a four-fold role of schoolmaster, naturalist, lecturer, and lay preacher, there are few men better and more favourably known than the subject of our sketch. He is the son of loyal and life-long Primitive Methodists. His father and mother have been members of our Church at Great Harwood for over fifty years, and Mr. James Fielding is at present time Sunday-school superintendent and Circuit steward of the Blackburn III. Station. For many years their home has been a place of rest and refreshment for the ministers of our Church. Mr. Fielding holds in grateful memory inspiring reminiscences of the visits of many of our preachers, including the Revs. Charles Jackson, John Oscroft, and John Slater – men of spiritual and practical eloquence, of prayer and holy life, and deeply acquainted with the things of the Spirit, whose saintly influence did much to create in the young mind and heart gracious dispositions and lofty aspirations leading to holy habits and Christian discipleship. From earliest days he was a member of the Sunday-school and Church, at the age of thirteen being appointed Sunday-school secretary and organist in the church. His youth was full of promise, for he was remarkably bright and intelligent, and had a passionate delight in knowledge, which he diligently sought and rapidly assimilated. He received a good elementary education in the Roman Catholic school (at that time the only school accessible) and later in the British School. Not content therewith he attended science classes at Clayton-le-Moors Mechanics’ Institute, in those days a heavy and weary walk, and it is deeply interesting to hear of this young student at fifteen gaining an excellent knowledge of five branches of science, viz. : Inorganic chemistry; sound, light, and heat; mathematics; physical geography; magnetism and electricity; early showing that real genius which has been well defined as an “infinite capacity for taking pains.” Passing all his examinations with much merit, he did useful service as a pupil teacher, coming to Sandhills British School (associated with our Church), Darwen, as headmaster in 1881, and since then, with the exception of a short period of service as chief master at princes Street, Blackburn, and the British School, Rishton, he has occupied with large success that onerous position, and very many young men and women owe much of their progress to his patient, skilful tuition, wise direction, and generous personality. For many years his Church work was chiefly in the positions of teacher, Choir-master and organist – music being his forte – and there were few signs of his special gifts as a public speaker. But observant and wise eyes were upon him, and one Sabbath afternoon in 1886 that noble lay preacher and Sunday-school worker, Mr. John Kendall, invited him to take tea with him and suggested that he should accompany him to his service that evening and take part therein. This was totally unexpected, but Mr. Fielding felt he could not deny the request of one whom he so sincerely trusted, therefore that summer evening found him preaching his first sermon to delighted hearers in our little Grimshaw Park Church. His text was a great one, such as he would even now feel much timidity in approaching – Job vii. 9: “As the cloud is consumed and vanisheth away: so he that goeth down to the grave shall come up no more.” God’s Spirit rested mightily upon him, the Word was with power, for God spoke through His servant sealing his call to preach, and therefore the work of the pulpit loomed largely in his public service. In the pulpit one is fascinated with his charming naivete, his intense earnestness and true courage. He possesses an attractive appearance – alert and manly, a clear, genial voice, well modulated and rarely raised above the pitch of ordinary conversation, his pulpit manner according with henry Roger’s dictum: “Preaching should be conversation at its best.” Having a well-selected and copious vocabulary, his thoughts are expressed in lucid English, without the least display of academic learning, effectively using short words, no dictionary needed to make out the meaning of his native eloquence. His descriptive powers are excellent, as would naturally be expected of one who has learned in the school of George Eliot and Sir Walter Scott; of poetic temperament, intensified by study of Milton, Shakespeare, Whittier, Longfellow, and Wordsworth, his utterances glow with devout feeling and are touched with deep pathos; he soars to heaven as well as walks the earth. He is essentially a man with a living message, Unflinching in his adherence to great principles, absolutely without affectation, presenting the truth as it springs from his own thought and experience, with marked originality of conception and an intensely practical application to life in its every-day aspects, making felicitous allusions to current events; pre-eminently, however his hearers are called to consecration and service, to an act of surrender to Christ not as an end but the beginning of a larger and more fruitful life of infinite development and ever-growing power and perfection. Is sermons manifest careful preparation and are intended to win men to goodness and helpfulness, for he cares little for sermons that are merely literary and pleasant to hear. Every audience is important, preaching as fervently and intelligently to a small congregation in a lowly village church as to a large audience in the elegant city church, having little patience with those who put off the small congregation with anything that comes easily to mind. Popular in the best sense of the term, he is a welcome occupant of the pulpits of all the Free Churches but nowhere more gladly received than by his fellow workers, who have sat under his ministry for twenty years. Some of his sermons have made profound impressions. Some years ago he was preaching at the annual Darwen Camp Meeting on the incident of the rich man who determined to pull down his barns and build greater, etc., and as he, with alternate scorn and pity, showed the folly of the man’s resolve to live for selfish ease and the inevitable Nemesis descending on such a life, heart and conscience were gripped and indelible impressions for good were made, and it is a common occurrence for people to meet him in the street and speak of that memorable event. An address he gave many years ago in our Park Road Church on F.R. Havergal’s exquisite hymn, “Take my life and let it be,” is remembered for the unction of the Holy Ghost which came upon the assembly, and the reception by many of power to consecrate and serve. Preaching from the text, “Until the day break and the shadows flee away,” he has been greatly used, and five times this year he has been asked in connection with Sunday-school anniversaries to repeat the sermon. At times with great tenderness and pathos he moves his audience to tears, again he denounces pretence, superficiality, snobbery with the satire of a Thackeray, and his hearers loathe all that is mean and shallow and pretentious; or again, humour comes into play and quaint expressions escape him which become unforgettable to those who hear them. Thus preaching on “The Gospel Feast” he enumerated some of the dishes presented – (1) the Dish of Opportunity: few take any, they say “No, thank you,” and pass on. (2) the Dish of Time: some people never had a bit on life’s plate. If they do get it they waste it. They never have time to get to the morning service. (3) Dish of Service. A queer dish. We hand some round to every one else, but take little ourselves. (4) The Dish of Tribulation. The Angel of Help at hand with the Sauce of Protection. (5) The Dish of Salvation. Enough for all. Who can forget this text, “A jewel of gold in a swine’s snout,” with the added remark, a queer place for a jeweller’s shop! Or this sentence, from a striking sermon, “Confidence in an unfaithful man in time of trouble is like a broken tooth and a foot out of joint.” Or, again, preaching on “wisdom hath founded her house on seven pillars.” Describing the pillar temperance, “A hard stone to get at. It lies in water and nothing stronger can be taken while it is being raised. Some try to raise it with a little spirits – a poor spirit-level!” These, or course, are mere expressions of the lighter vein having its legitimate place in the deep strata of his intellectual and deeply spiritual ministry. As a lecturer, he is known throughout a large section of the County Palatine, lecturing on such subjects as “The Wonders of the Microscope,” “An Hour in the Insect World,” “Variation in Nature,” “Friends in the Fur and feather,” each with lantern illustrations from his own photos, and a splendid nature series of lectures products of his skilful photography: “Pictures, Legends, and History of the Ribble Valley,” “The Beauties of Wharfedale,” “The Land of the Broads,” “The Derbyshire Dales”. He wields with facility the pen of a picturesque writer and is editor of “The Rambler,” a monthly magazine devoted to scenic beauty, botany, ornithology, entomology, and kindred branches of science. Mr. Fielding’s abilities have not been unrecognized. At three Manchester District Sunday School Conferences he has taken a prominent place. He is a member of the District Sunday School Committee and Local Preachers’ Training Committee. He represented his Circuit at Heywood District Meeting, and the Manchester Synod at the Newcastle Conference. On two occasions his fellow-townsmen have elected him at the head of the poll to the directorate of the Co-operative Society representing over 5,000 members, he having previously serviced on the Educational Committee. He was the first president of the Darwen Naturalists’ Society, and is leader of the Spring Vale Rambling Class with a membership of about 400. He is thus a man of many parts and one of the busiest of men. He has taken on an average ten Sundays per quarter in various pulpits during the last eleven years in addition to Sunday-school work – being teacher of a large Men’s Class. During last winter he gave fifty-two lectures and papers to all types of audiences. Thus he lives the strenuous life. His highest ambition is to please God and extend the Kingdom of Christ; all other determinations are subordinated to this central motive. We wish for him increasing joy and usefulness in the service of the Great Master he so dearly loves and efficiently serves, and pary that as the years advance he may preserve his young heart and buoyant spirit and continue to refresh and gladden those who come beneath the influence of his gracious personality and helpful ministry. Jonathan was born in 1857 at Great Harwood, Lancashire, to parents James and Alice. James was a grocer. Jonathan married Maud Mary Fielding (abt1858-1915) in the summer of 1881 in the Blackburn Registration District, Lancashire. Census returns identify three children. 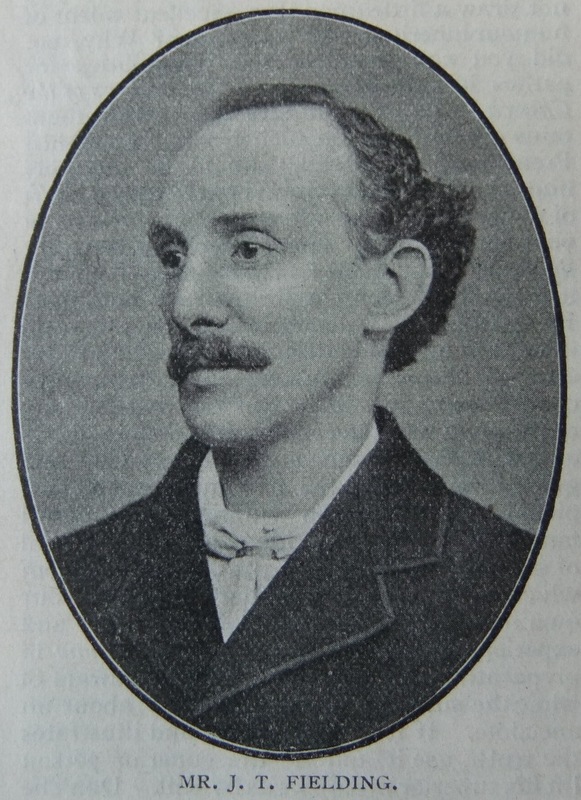 Jonathan died on 21 December 1930 at Abbeycroft Sands, Whalley, Lancashire.